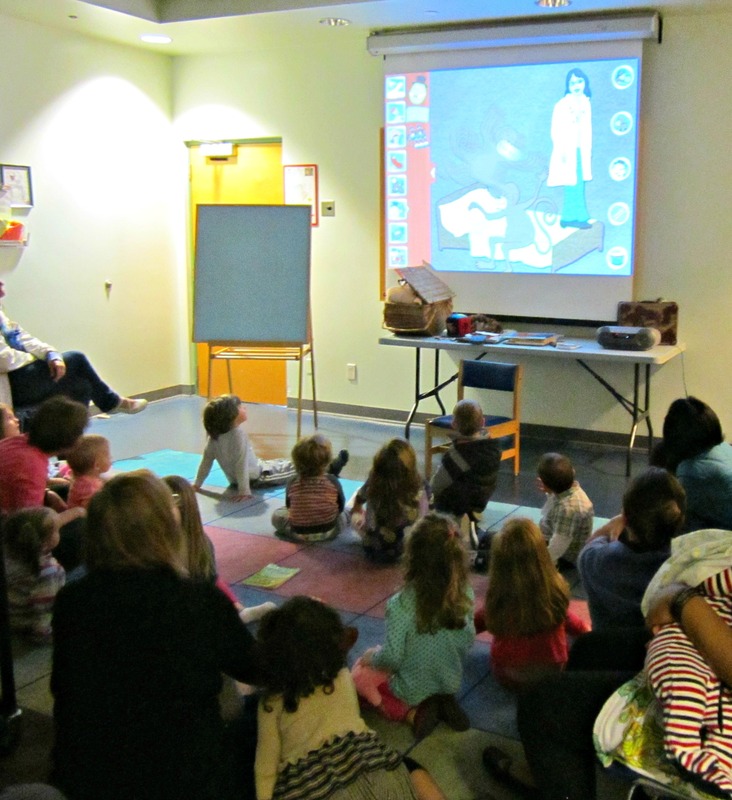 At the Greater Victoria Public Library, we’ve been using Mother Goose on the Loose app in storytime as an addition to our regular storytime. 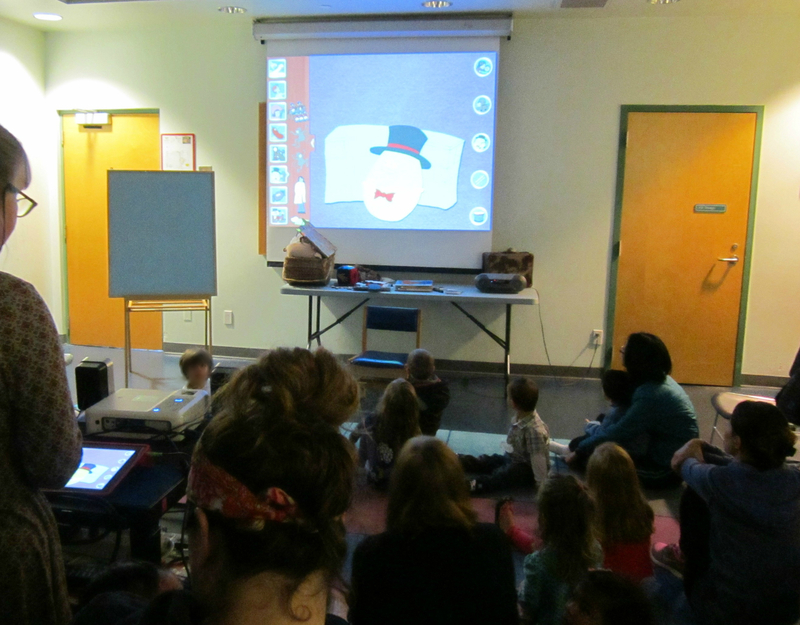 I used the iPad attached to a projector with speakers close to the end of storytime as an additional fun play/teach for children and parents. We include talking points for parents about how we have so many devices in our lives that young children have access to and how there are some great apps for them to explore, and how apps can be another form of storytelling. We discuss the importance of choosing “good” apps. I have also used a youtube book trailer: Hooray for fish by Lucy Cousins, chosen because it is true to the book, well animated and narrated and set to music. I wasn’t sure how these digital materials would be received. When I used the Hooray for fish I used just the iPad with speakers and the kids swarmed me! They were very engaged (it would have been better with projector but we didn’t have the adapter yet). Then with the adapter (iPad to projector + speakers) we used the Mother Goose on the Loose app to share Jack and Jill going down the hill quickly and slowly. Parents seemed receptive, and I had a parent ask for the name of the book used in the book trailer a week later. One of our biggest challenges is that I am using my own iPad (ie not the library’s), and our projector is on a trolley that needs to sit in the midst of the children and families. I didn’t have any issue with the children touching the trolley or equipment. That was a concern of my colleagues expressed, and maybe I just lucked out! Posted on May 15, 2014, in Literacy. Bookmark the permalink. Leave a comment.